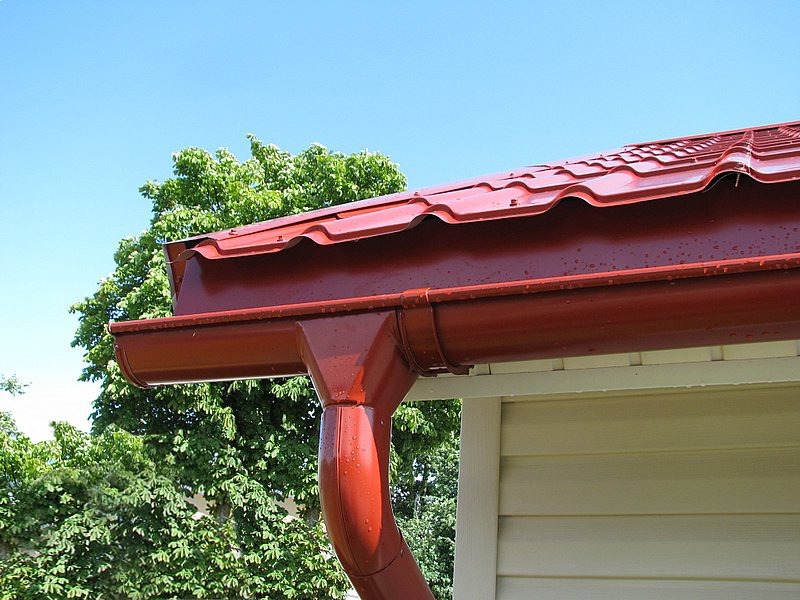 Gutters and pipes of rainwater system are made of zinc-coated steel sheets 0,6 mm thick. Both sides of a product are covered with polymeric Pural coating which resists UV – rays well. Parts and drain joints are dimensionally accurate and densely adjoin to each other. Smooth surfaces of drain joints prevent gutters from congestion of garbage. 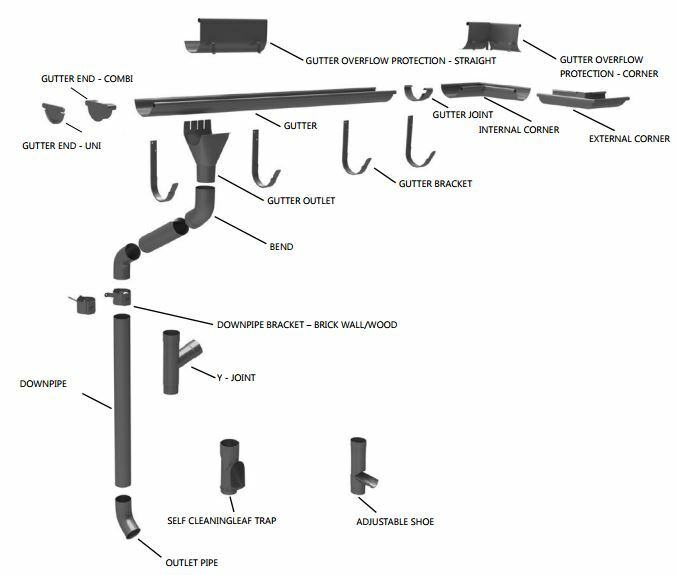 Semicircular gutters with 125 mm and 150 mm width (which can be supplied together with drainpipes 87 mm and 100 mm in diameter). The details of standard sizes can be cut off to exact sizes during installation. 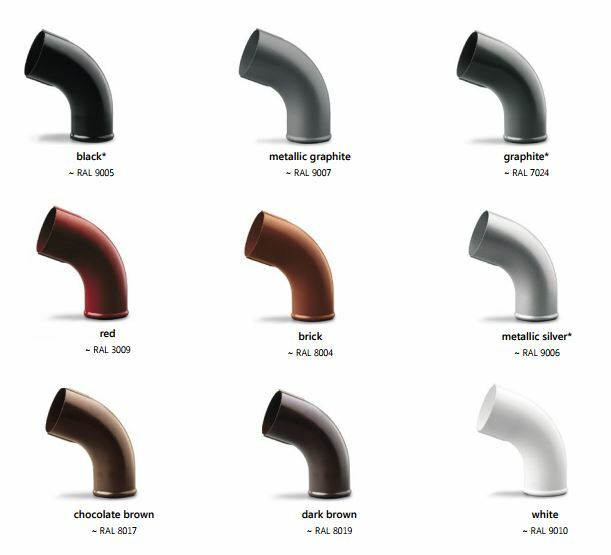 Products are manufactured in standard colour range, other colours are available on special order.